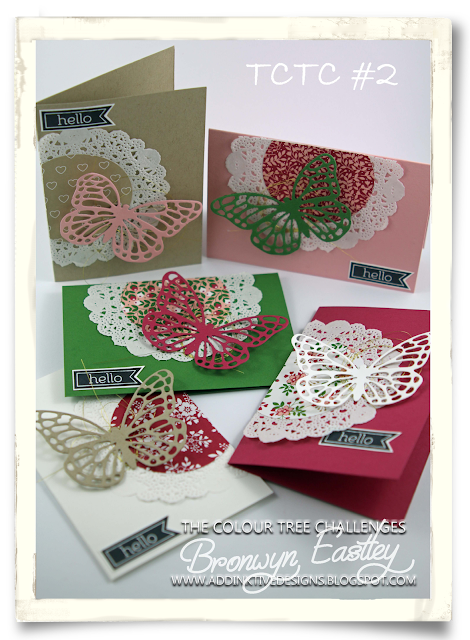 Welcome back to The Colour Tree Challenges. Wow! Firstly I want to thank every one that linked up their gorgeous creations last week. I really enjoyed visiting your blogs and seeing the diverse range of ideas inspired by the colour combo. Every single participant for TCTC#1 received a tutorial on how to make a Spring Planter Box Card and I'm looking forward to seeing lots of different paper floral displays in my inbox! (Hint) If you missed out I'm extending the offer for one more week; just enter this week's challenge, then leave a comment at the end of this post or flick me an email to request one and I'll send it out to you straight away! Of course you don't have to use the new DSP; just be inspired by its beautiful colour palette! 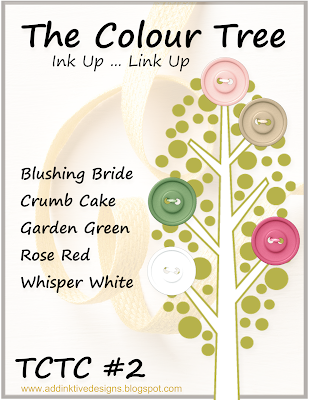 Here's the combo - Blushing Bride, Crumb Cake, Garden Green, Rose Red and Whisper White. At the end of each month a Winner will be chosen from one of the weekly Top Three Picks and will be invited to be a Guest Designer for an upcoming challenge! At the end of each month, a Winner will be chosen from one of the weekly Top 3 Picks and will be invited as a Guest Designer for an upcoming challenge. Deadline for entries close on Saturday 23rd January at 7:00 pm (AEDT). Top 3 winners will be announced on Sunday 24th January and a new challenge will start later that day at 7:00 pm. See time/date converter HERE for your region. Bronwyn, I'd love to have your Spring Planter Box Card tutorial - I was so disappointed with myself that I forgot to enter last week - thanks for extending the offer! Bronwyn I love this week's colours and hope to get my card made and linked. Since I run a challenge as well and we are also having a blog hop this week, time hasn't been my friend. Fingers crossed. 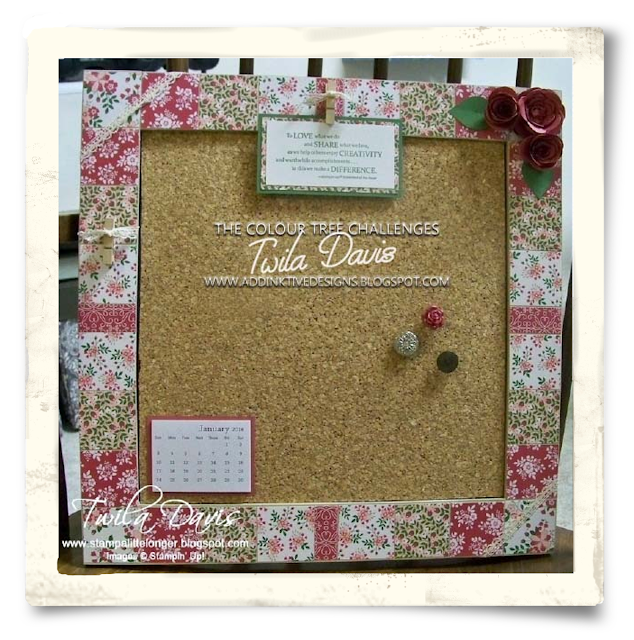 Thank you for featuring me as a guest designer for this past weeks Colour Tree Challenge. I love the set of cards that you created for the challenge. Chat with you soon my friend.